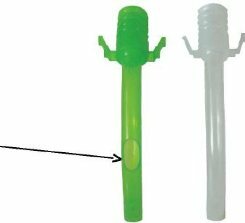 Blom Fenestrated Cuffed Tracheostomy Tube Kit #4, /Bx. Includes Fenestrated Cuffed Tube, Standard Cannula, Obturator, Decannulation Plug and SoftTouchTM Tube Holder. Blom Fenestrated Cuffed Tracheostomy Tube Kit #6, 10/BX. Includes Fenestrated Cuffed Tube, Standard Cannula, Obturator, Decannulation Plug and SoftTouchTM Tube Holder. Blom Non-Fenestrated Uncuffed Tracheostomy Tube Kit #4, 10/BX. Includes Non-Fenestrated Uncuffed Tube, Standard Cannula, Obturator, Decannulation Plug and SoftTouch™ Tube Holder. Blom Non-Fenestrated Uncuffed Tracheostomy Tube Kit #8, 10/BX. Includes Non-Fenestrated Uncuffed Tube, Standard Cannula, Obturator, Decannulation Plug and SoftTouchTM Tube Holder. 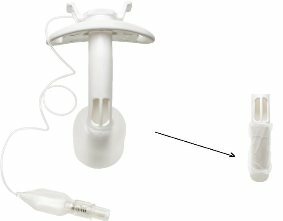 Blom Non-Fenestrated Uncuffed Tracheostomy Tube Kit #10 10/BX. Includes Non-Fenestrated Uncuffed Tube, Standard Cannula, Obturator, Decannulation Plug and SoftTouchTM Tube Holder. Blom Fenestrated Uncuffed Tracheostomy Tube Kit #6, 10/BX. Includes Fenestrated Uncuffed Tube, Fenestrated Cannula, Obturator, 15mm Cap and SoftTouchTM Tube Holder. Blom Fenestrated Uncuffed Tracheostomy Tube Kit #8, 10/BX. Includes Fenestrated Uncuffed Tube, Fenestrated Cannula, Obturator, 15mm Cap and SoftTouchTM Tube Holder. Blom Fenestrated Uncuffed Tracheostomy Tube Kit #10, 10/BX. Includes Fenestrated Uncuffed Tube, Fenestrated Cannula, Obturator, 15mm Cap and SoftTouchTM Tube Holder. Blom Standard Cannula #4 (white), 10/BX. Disposable Cannula for the Blom Tracheostomy Tube.